Sleep is a really vital aspect of wellness. As this is a busy time of year, it is essential that we get enough sleep at night to keep us going through the chaotic work days and family life as the holiday season fast approaches. 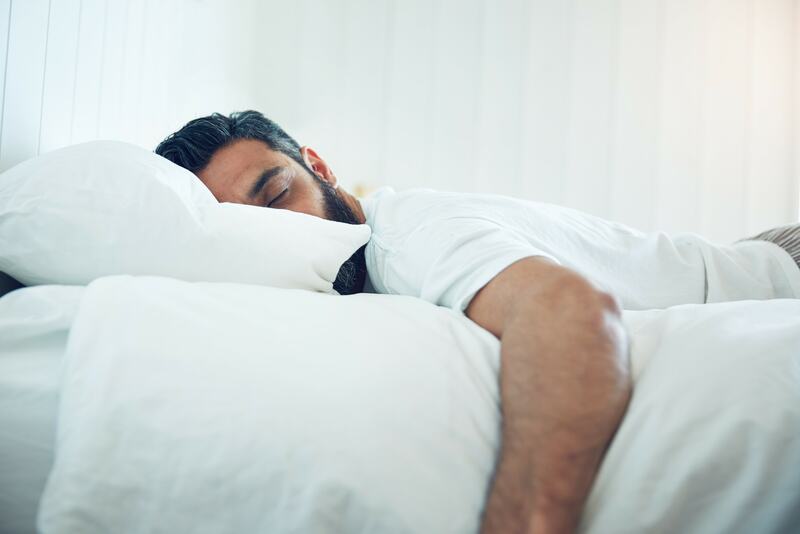 Whether it is work-related stress that is keeping you up at night, family life or simply not having enough hours during the day to get your to-do list completed – it is essential to make time for some rejuvenating, deep sleep. And while three cups of hastily chugged coffee can do their best to undo the pitiful night of slumber just hours before, and 8 hours of sleep a night may seem like an alien concept, there are easier ways to get the best sleep and wake up feeling ready for whatever the day throws at you. Taking a moment to fully unwind after a long day is essential for your sleep quality. Having a soak in the bath or even some time under the shower (if your time is more limited) can be extremely effective just before bedtime. As you do so, close your eyes and reflect on the highs and lows of the day you have just had. Then, put those thoughts firmly behind you and open up your favourite book or put on some music (if reading is impractical in the shower). Eating or drinking anything – even water – too close to collapsing into bed can make you feel bloated. Try to get your hydration and nourishment in during the day rather than right before bed. When your body has begun its wind-down process in the evening, along with your metabolism, it isn’t wise to make it work overtime. It’s tired too! If your sleeping environment is too cold or too hot, it makes it hard for the body to maintain its set point for temperature, making it difficult to fall asleep and stay asleep. The general rule advised is to keep your bedroom cooler since a drop in body temperature actually signals sleepiness in your brain. Your bedding can also have an effect – if you tend to get very hot while you sleep then perhaps opt for linen sheets. There should be little to no light in your sleeping space, including electronic devices. 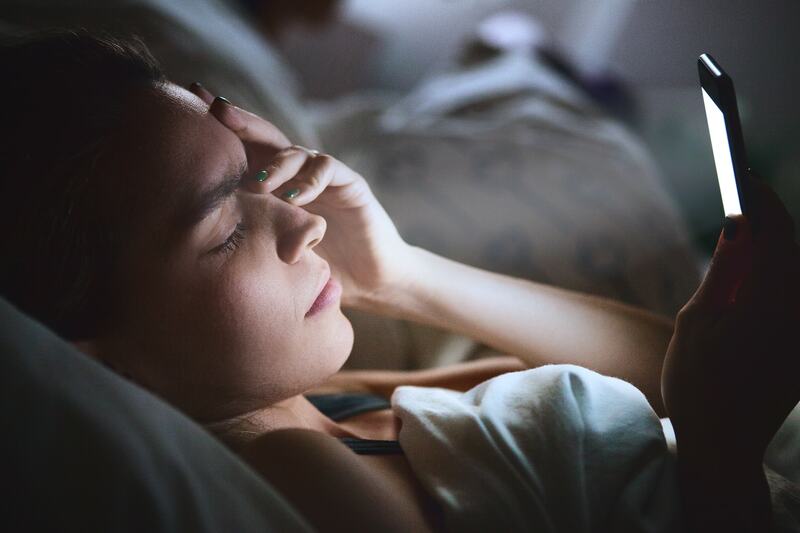 Too much light actually tells our brains to start waking up, which not only makes it more difficult to fall asleep but can throw your whole circadian rhythm out of whack, making you feel groggy the next day. Blackout curtains are a great investment. A sleep mask will do the trick too. Surveys show that 71% of smartphone users sleep with their phone within arm’s reach. Sleeping with your phone near your bed can increase compulsive behaviour, depressed mood, insomnia and anxiety. Blue light emitted from phones and computer screens trick your brain into wake mode, disrupting the release of melatonin in our brains, which is our body’s sleep hormone. This affects your body’s natural sleep cycles for the rest of the night. Research shows that having a smartphone in the bedroom at night time reduces sleep time by an average of 54 minutes. This amount of sleep deprivation can impair cognitive function when it comes to attention, memory, creativity and judgement and also suppresses immune function. To maintain a healthy sleeping pattern, it is advised to refrain from using electronics for two hours before heading to bed. A good tip is to put your phone on airplane mode. This way, you can still hear your alarm but with your data switched off you are inhibiting any kind of social media interaction. Continuous access to social media has been associated with poorer mood and an overall increase in generalised anxiety. While it’s easier said than done, anything you can do to tune out noise will make a difference to your quality of sleep. This is especially difficult when you live in a city. If you are a light sleeper who is affected by external noise, try to listen to some white noise. YouTube and Spotify have white noise audios that are hours in duration so you can drift right off and stay asleep. Most importantly, you want to feel comfortable and at ease in your sleeping space. Light your favourite scented candle that makes you feel calm for an hour before you go to sleep. Or maybe you like to pop some Lavender oil on your pillow. Or, if you want to take it up a notch, try adding it to the oil you use pre-shower. Do what works best for you. A good night’s sleep starts with your bed. Investing in a good quality mattress – one that is comfortable soft and feels like sleeping on a cloud will improve your sleep immense amounts. The same goes for your sheets. Make sure they suit your needs – not too light or too heavy and not scratchy on your skin. Silk pillowcases also help to sleep on and don’t wreak havoc with your skin and hair. A soft, comforting pair of pyjamas is the final piece to the bedding puzzle. When you get home in the evenings, it’s good to set the sleepy tone straight away. Light some calming candles to create a relaxed atmosphere in your space. After you eat, perhaps sip some herbal tea to signal to your body that you’re coming into sleep mode and not introducing any caffeine. Remove any make up, do your skincare bits and bobs and apply a healing and rejuvenating moisturiser. Pop some Lavender oil on your pillow and climb in – try to read a book rather than scrolling mindlessly through your phone (again – that blue light!). Try your best to spend the hour leading up to you going to sleep off your phone and reading something. If you stick to a nightly routine like this, your body will learn that it is time to go to sleep and will work with you. Turning down the lights in the hours before bedtime is key for helping your body clock prepare itself for sleeping. To see the best results from this, dim the lights (at least in your bedroom) after 6 pm in the winter or after 7pm in the summer. Try lighting some candles to replace this artificial light. If reading is something you find hard to do for extended periods of time, it can help to listen to a relaxing Spotify playlist to prepare yourself for a good night’s sleep. Another practice many people find helpful to get them into a good state to fall asleep is meditation. It tends to clear away the day and helps our body and mind to get re-centred. A super simple meditation can help to stop your mind racing and help you drift off as a result. The more often you practice, the more used to it your mind will get and the more effective it will be. The function of a sleep log is to bring awareness to some of your most basic sleeping habits (sleep and wake times) and your mood when you wake up. Knowing how you feel when you first wake up – before caffeine - gives some insight into your sleep quality and this can be measured over time to track change. The time you went to bed, the time you actually fell asleep, and the time you woke up. Whether you woke up at all during the night and, if so, what time and for approximately how long. Your mood upon waking, rated on a scale of 1 to 10 (1 being groggy and miserable, and 10 being immensely well rested, happy, and ready to tackle the day). Using this method, you will be able to note a pattern and thus get a better idea of what exactly might be affecting your sleep quality, as well as how factors such as waking up in the middle of the night or going to bed late can impact your mood the following day. It is also helpful to note any other details, particularly on nights you have difficulty falling asleep or staying asleep. Is there anything stimulating your brain before you sleep? Is your bedroom cool, dark and quiet? Taking note of these things will make addressing and correcting your habits or sleep obstacles easier.